Doomsday arrived on Oct. 30, 1938, when poisonous black gas crept through New Jersey, ray guns shot flames across New York City and killing machines from Mars took over the nation. Or, that’s what nearly 1 million radio listeners thought, at least. 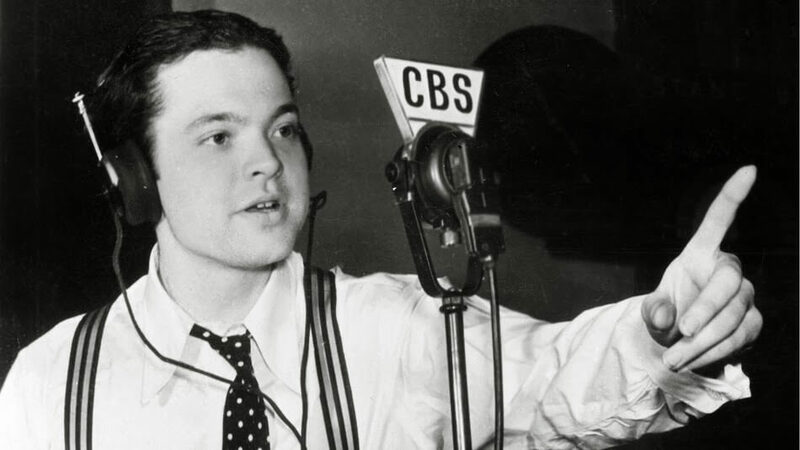 Wednesday marks the 75th anniversary of Orson Welles’ “War of the Worlds” broadcast, an episode from CBS’s The Mercury Theatre on the Air and an adaptation of H.G. Wells’ science fiction novel. The show, a fake news report of alien invaders from Mars, struck fear into the nation as listeners were convinced the fictional story was a very real, live broadcast. PBS celebrated the milestone a day early with the premiere of War of the Worlds, a documentary presented by American Experience. “This is the most famous media event in history,” American Experience Executive Producer Mark Samel told Mashable. Welles was just 23 years old at the time. Two nights before the broadcast, he scrapped much of the original script, believing the simple retelling of H.G. Well’s story was too boring, Samel said. Instead, he found a creative way to make listeners pay attention. At 8 p.m. on Halloween’s eve, the 1938 show started with a weather report and a swing band number before scripted “breaking news” reports of invading tripods interrupted the broadcast. The host reported that 7,000 soldiers and a fleet of army planes were called in to fight off the invaders. The military’s effort was unsuccessful. The hour-long broadcast concluded with Welles breaking character to assure listeners that what they had just heard was just a Halloween prank, but the warning came too late for many listeners. “Without waiting for further details, thousands of listeners rushed from their homes in New York and New Jersey, many with towels across their faces to protect themselves from ‘gas’ which the invader was supposed to be spewing forth,” the original article said. However, there are conflicting reports about the scale of the reaction. Newspapers especially have been accused of exaggerating the situation, Samels said. Samels explained that people in 1938 weren’t gullible. The confusion and fear came from a perfect storm of emotions and events. These people were living through the Great Depression and witnessed the beginning tensions that would lead to World War II. They became used to breaking news interruptions to report the worst, such as the Hindenburg disaster, and just months before, scientists began speculating about life on Mars.